We are happy to announce that two more PhD students have just defended their theses. Abdul, Adam, good job! 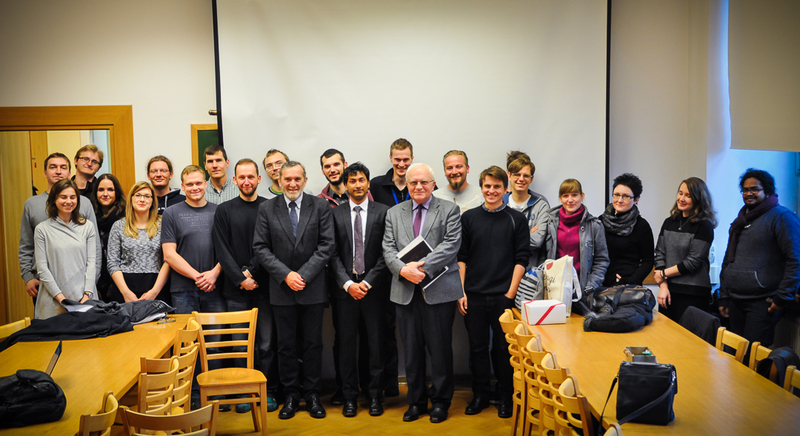 Their research was carried out within the framework of the MPD Programme by the Foundation for Polish Science – a Joint UW and WUT International PhD Programme entitled “Towards Advanced Functional Materials and Novel Devices” (more info here). Defence date: 16 December 2015. Abdul after the defence with his supervisors and colleagues. Photo: Kamil Sokołowski. Defence date: 22 December 2015.